January 28, 2019- Claire laughingly recounts being thrown into the pool and taught how to swim, as early as the age of 4. Now, swimming is as natural as breathing for the SEA Games gold medallist. 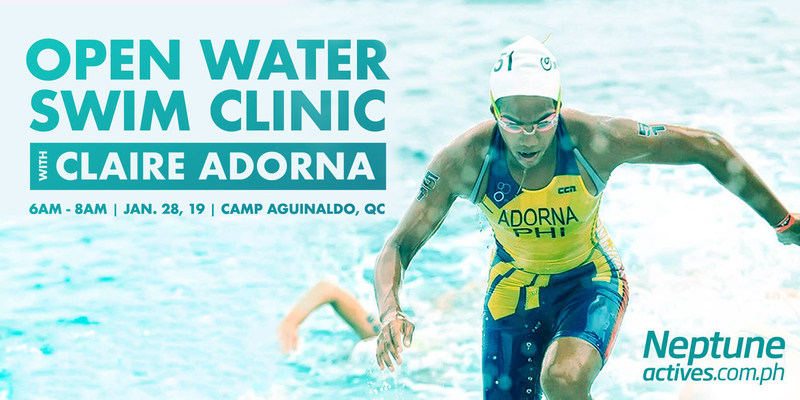 Maria Claire Adorna is one of the many decorated athletes of today and has been bagging 7 gold medals throughout her collegiate life for swimming, competed in several international events before striking gold once again in the 2015 SEA Games and is set to compete once again this year. But that’s not all; Claire is not only a swimmer, but also a strong triathlete and was even named the Filipino Women’s Elite Triathlete of the Year at the 2014 SwimBikeRun [SBR] Awards. 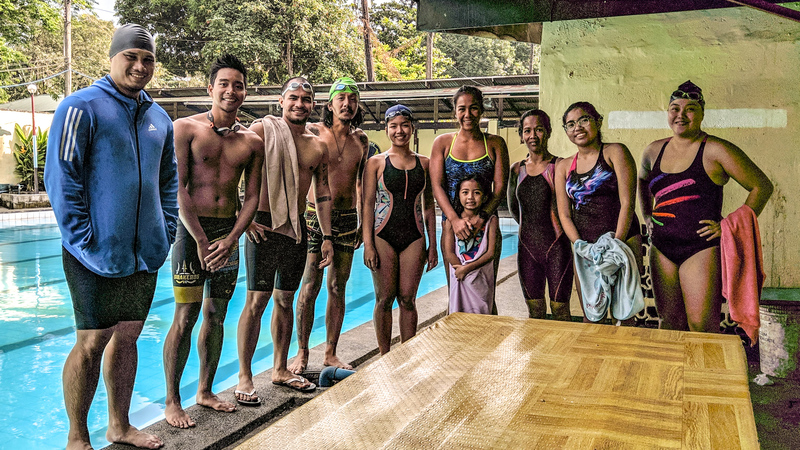 And last Monday at the Enlisted Personnel Association’s Pool at Camp Aguinaldo, she graciously headed the Neptune Active Swim Clinic in preparation for their upcoming open water swims, Northern Waves, happening on March 16 in Currimao, Ilocos Norte, and the Tigasin Open Water Challenge, happening on May 4 in Lingayen, Pangasinan. Open water swimming, especially for those who learned to swim in pools, is a little tougher. 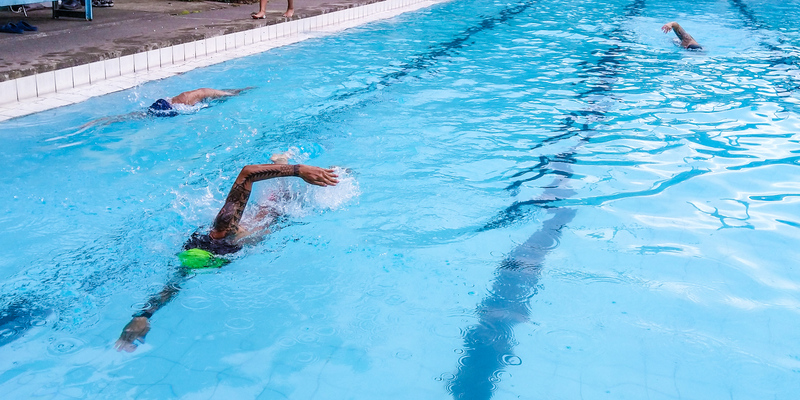 There’s no black line to follow, factors such as the waves and temperature can’t be controlled, and it’s so much wider than your average pool. Naturally, training for the open water is a little different from the regular swimmer’s training. This is why, after a quick introduction, Claire guided the participants through the proper warm up and then straight to the water for a 4 lap swim to check out their forms and techniques. According to her, being in open water can make you forget your form and swim techniques if you haven’t properly trained your muscles. To help with this, she led them through rounds of freestyle drills, using different techniques to master the open waters, such as close-fisted swimming, finger drag, and sighting. One of the most important tools Claire suggested they invest in is the pull buoy, to train the core and upper body. A total of 9 participants joined the swim clinic, one of them as young as 6 and she definitely held her own with all the adult swimmers. In between each drill, Ms. Adorna throws them several tips for their training, answering all questions as she learned them through her own training and experience, getting into the pool from time to time to demonstrate the proper form or technique. After countless laps per interval, Claire had the participants finish with 4 laps, timed, urging everyone to beat each time per lap, followed by a cool down swim and stretches. Tired, but beaming faces rise from the pool, each grateful to have learned so much to train with, even going so far as asking for a second round for the swim clinic. 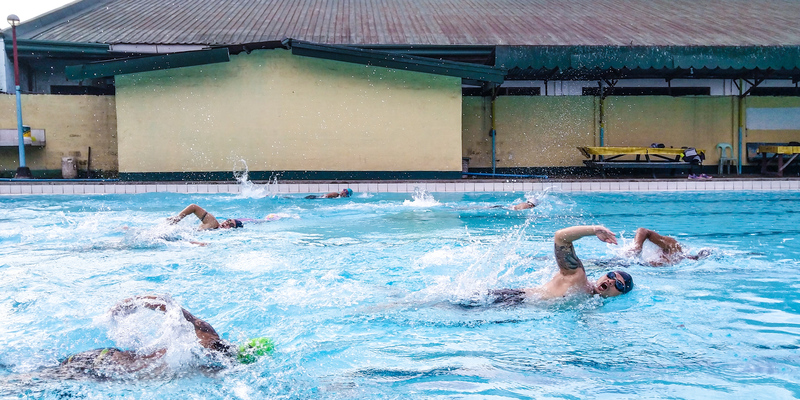 Overall, the event was a complete success and everyone left geared to face the coming waves (Northern Waves, that is, and the Tigasin Open Water Challenge as well).